Bring Back Sunday Dinner - Share Meals & Traditions That Matter! From the feasts and banquets of ancient Greece and Rome, to Sunday Supper at Aunt Bee’s in Mayberry, USA – food has always served as a great way to bring people together for great conversation. Yes – as shocking as it may seem, there was actually a time not too long ago – before cell phones, iPods, televisions, computers and busy work schedules – that people actually looked forward to getting together to prepare and share a meal! 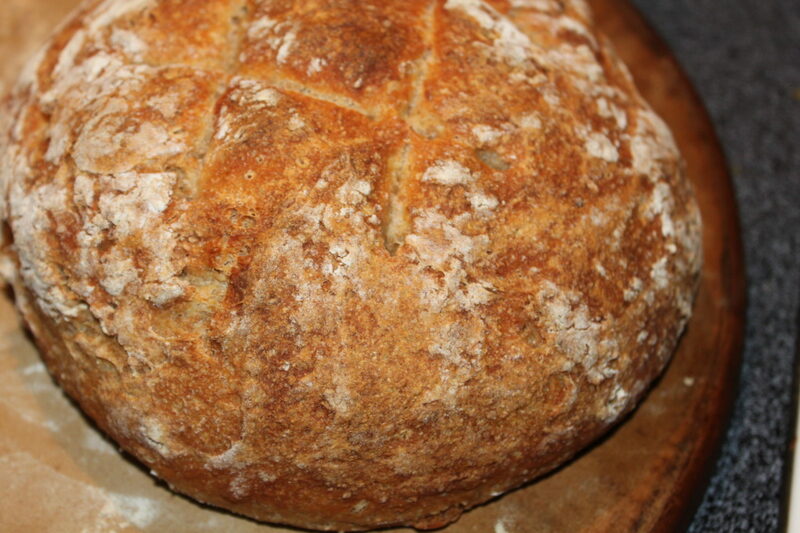 Nothing can beat homemade bread on the table for Sunday dinner! They were real meals prepared from real ingredients – many from home-grown gardens or local farmers – but the meaning went far beyond just the food on the table. It was in preparing those meals that family recipes, cooking skills and long-standing traditions were passed on to the next generation. It was how children learned about respect and how to talk to adults – and how older generations learned the latest and greatest from the kids. I can remember back to my own childhood that on nearly every Sunday evening, my family would sit down together for dinner. We were joined many times by my older siblings, their husbands and nieces and nephews – along with a visit now and then from Uncle Tom, Aunt Helen and Uncle Johhny, Eddie and Sis and others. Making the pasta can be as fun as eating it! No matter the meal – they were great times and built incredible memories. We got to hear great stories about how my Italian grandmother would make mountains of pasta right on her kitchen table – and all about her big Sunday dinners of the past, complete with spaghetti, fried chicken and of course, homemade wine. I personally think that we can never have enough of that. Taking time to slow down, take a step back, and enjoy the things all of us work so hard for each and every week – our families. It’s crazy to think that all of the modern conveniences that are supposed to help us live so much better – are the main culprit in now keeping us from interacting on the most basic of levels. In reality – it’s not just the food of a Sunday dinner that nourishes the body – it’s the interaction that comes with the whole process. That simple act of preparing a meal together – and then sitting down and enjoying it can have an amazing impact. It can solve problems that seem insurmountable, provide comfort to someone who seems lost, and educate all of us in some way, shape or form. Over the course of the last year, we have really made an effort to make Sunday dinner a little more special. To spend a little more time in the kitchen to prepare a meal together that we can all enjoy – and then to sit down and unplug from all of the distractions. So here is to bringing back the Sunday Dinner – and the art of learning to slow down to enjoy family, friends and great food. Who knows – maybe it can once again be the “normal” way to live! We included links to a few of our favorite Sunday dinner sides and dishes below – and we would love to hear some of your favorite meals and traditions in our comments section as well! ← The Best Garden Seed Catalogs For Winter Reading!